After Silla’s King Munmu unified the Three Kingdoms, he started to build a Gameunsa Temple here to defeat Japanese invaders. 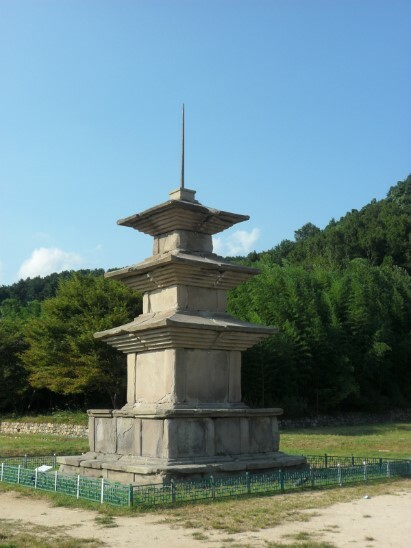 Finally, the Gameunsa Temple was completed in the 2nd year of King Shinmun’s reign (682). King Munmu’s last words were that he would become a dragon and defend Silla after he died. According to King Munmu’s will, he was buried in Daewangam on the East Sea, and space was provided for in Geumdang, so that the dragon (King Munmu) could visit frequently. 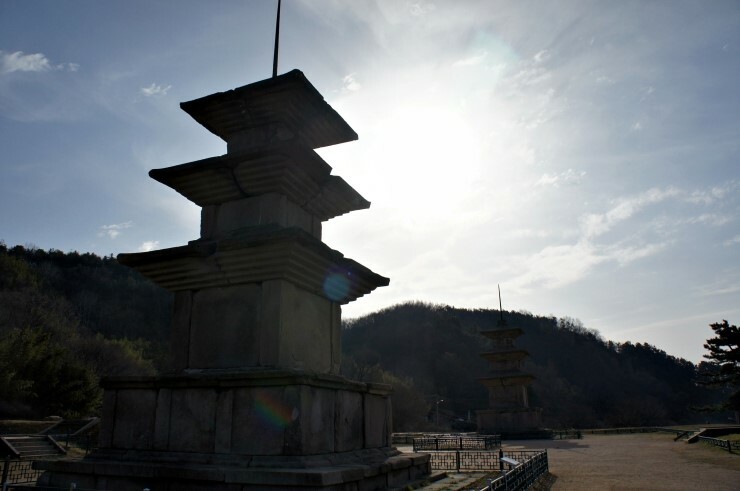 The tri-story stone towers facing each other from east to west in front of Geumdang, have a grand height of 13.4m. The body stones are put on the double stylobates, and five steps of supports are placed under the eaves. The roofs have curved surfaces, showing a typical style of the unified Silla era. During a dismantling and repair work of the West Tower in December 1959, the gorgeous and delicate reliquary of the Buddha (sarira utensil), installed at the time of establishment, was discovered from the third-story body stone. When the East Tower was dismantled and repaired on April 25, 1996, a bronze reliquary (sarira casket) was found in the sarira hole, located on the upper side of the third-story roof stone. 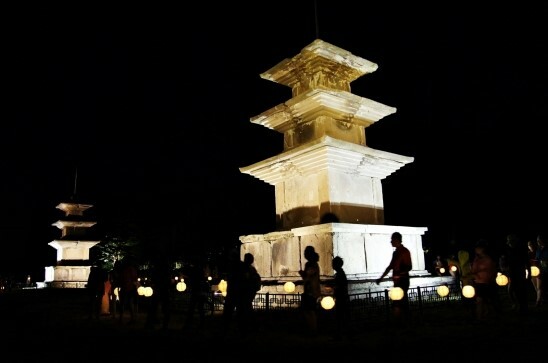 The tri-story pagodas in Gyeongju are the largest ones as seen when the first Buddhist temple arrangement was changed into a double-tower shape right after the unification of the Three Kingdoms from the one-tower system of old Silla.